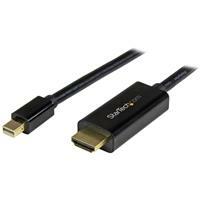 This 6-foot Mini DisplayPort™ to HDMI® adapter cable offers a single-cable connection from your mDP equipped Microsoft® Surface™ Pro, MacBook or Ultrabook™ laptop to an HDMI display or projector.The passive adapter supports video resolutions up to Ultra HD 4K and is Thunderbolt™ compatible when connected directly to a supporting DisplayPort over Thunderbolt I/O port. 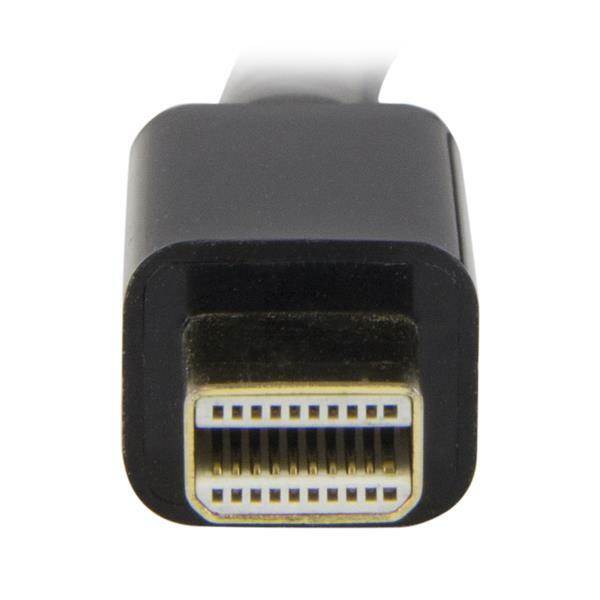 This adapter cable ensures you can maintain an astonishing picture quality, four times the resolution of 1080p, when converting Mini DisplayPort to HDMI. 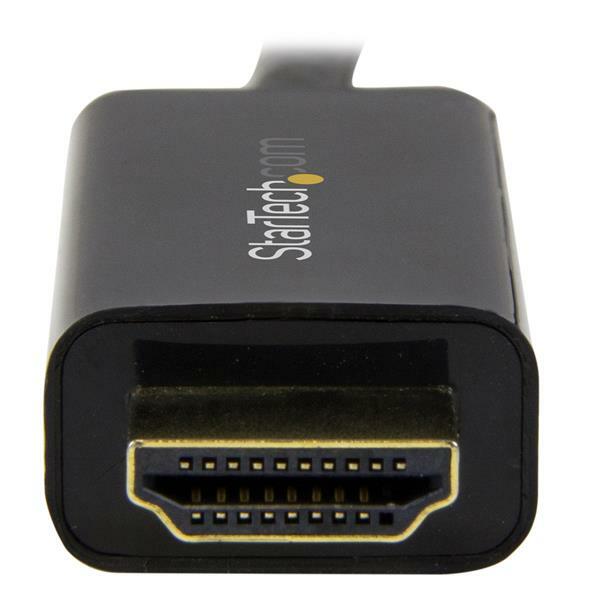 The adapter is also backward compatible with lower resolution displays and video sources. With support for high-definition resolutions of 1080p and 720p, you can future-proof your existing setup for 4K video. 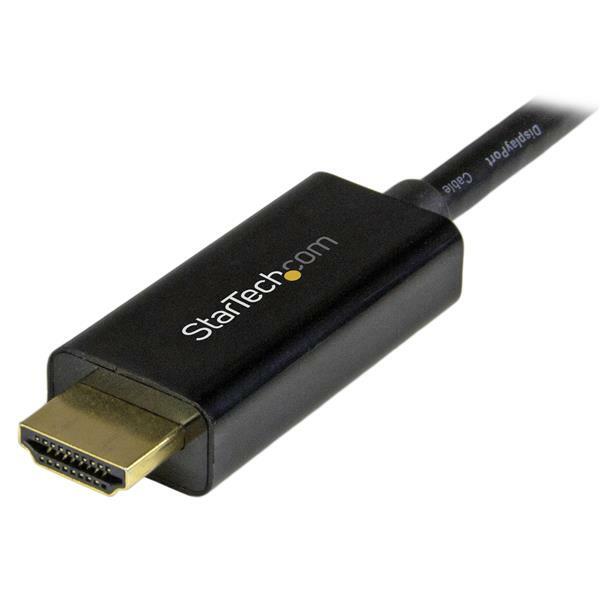 For the simplest and most discreet installation, this mDP to HDMI adapter connects directly from your Mini DisplayPort video source to the HDMI port on your display. It doesn't need a power source, unlike some converter dongles that require active power and separate video cabling. At 6ft in length, this adapter cable delivers a compact connection that eliminates excess to ensure a tidy, professional installation. 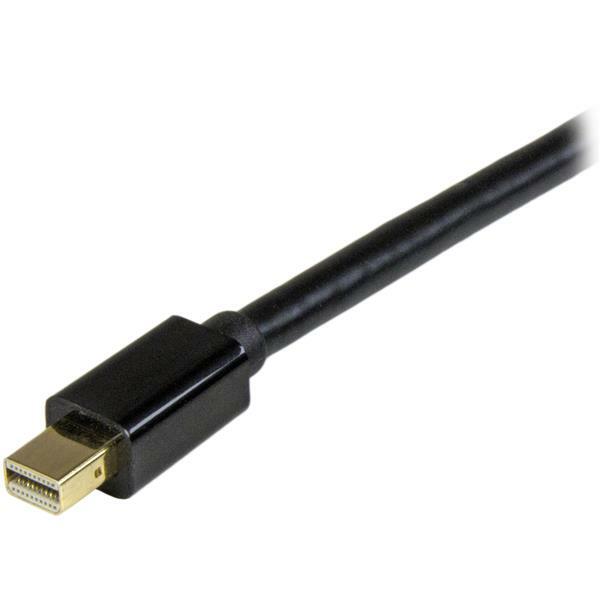 For shorter installations, we also offer a 3 ft mDP to HDMI cable (MDP2HDMM1MB) enabling you to choose the right cable length for your custom installation needs. The MDP2HDMM2MB is backed by a 3-year StarTech.com warranty and free lifetime technical support.